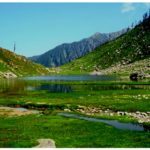 Dharamshala is blessed with beauty and plenty of tourists’ attractions – and one of the most beautiful and famous tourists’ attractions you find in Dharamshala is the Bhagsu waterfall Mcleodganj. Popularly known as the Bhagsu falls, the enchanting beauty of the falls cannot be explained in just mere words. When we talk about the Bhagsu falls, we talk about the old temple just beside the falls – the Bhagsunag Temple – located at an altitude of 6,960 above sea level – 11kms away from Dharamshala. 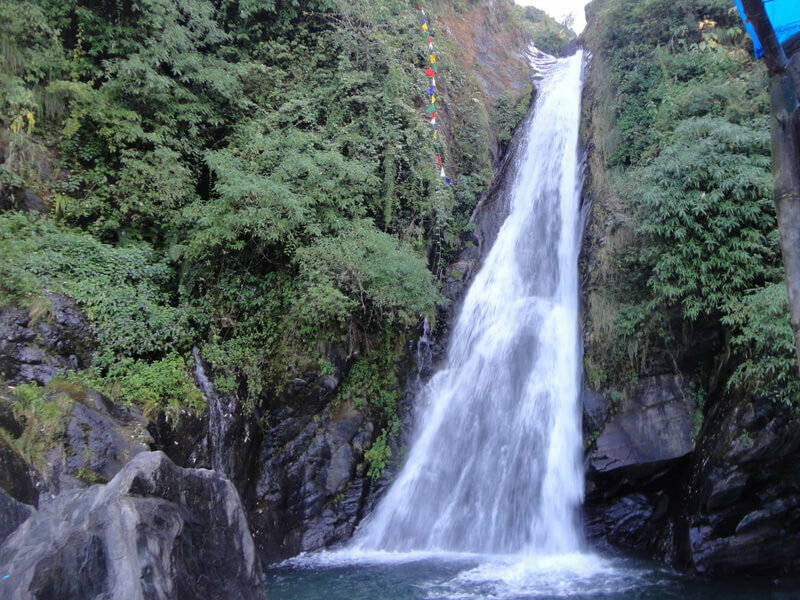 The best way to reach Bhagsu falls is by taking a bus from Delhi to Mcleodganj. It takes about 12 hours to reach Mcleodganj from Delhi and then Bhagsu falls is just 2kms away. Another way to reach Bhagsu falls is by taking a flight from Delhi to Dharamshala and then you can take a cab from Dharamshala to Bhagsu falls. 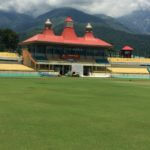 There are plenty of places to see in Dharamshala. 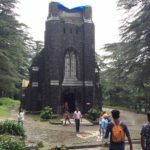 So why does Bhagsu fall attract its tourists so much? The reason is simple – the breathtaking beauty of the Shiva temple and the 30 feet long falls. India is all about the mysterious temples in almost every villages and Bhagsunag is one of the mysterious and ancient temples that attracts the tourists the most. 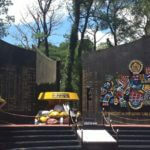 The temple comprises of a bell that you can see at the entrance of the temple. The bell is made of white tiles and the temple has marble stairs that lead the tourists to the temple. The temple looks glorious with its various inscriptions on the wall and the pillars of the temple. There are plenty of other things that you can see in the temple along with the mesmerizing Shiva Idol. The beautiful valley of the Bhagsu falls can be experienced from the verandah of the temple. There is a swimming pool right beside the temple where you can take a dip and have a little fun. The Bhagsu falls however, is about 1km away from the temple and the only way to reach out to the Bhagsu falls is by walking this 1km. 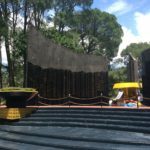 if you are thinking that it might tire your feet away, then let us tell you, that the walk through the passage of the temple to the falls is really easy and you will forget every bit of your tiredness once you experience the beauty of the place. The height of this waterfall is approximately 20 meters and it is an absolute marvel to look at, especially during the monsoon. There is a nice cafeteria next to the fall for tourists to indulge in lip-smacking snacks and drinks that are served with warmth. There are plenty of reasons why people love visiting this amazing place. One of those reasons is the history and the myths surrounding the place. The legend takes us back to the 5000 years ago. And it is an interesting one. It is said that Bhagsu was a king, or a local chief, and his region was plagued by drought. He set out, promising his subjects that he would bring water. His search brought him to these mountains, more specifically, to a lake – the Nag Dal – which belonged to the serpent king. Bhagsu himself had magical powers. He managed to transfer the water from the lake into a kamandalu (water receptacle), and started on his way back home. The serpent king returned home that night to find his lake empty. Needless to say, he was irate, and he set out to find the one responsible. He caught up with Bhagsu here, and there was a terrible fight. Bhagsu was lethally injured, and the kamandalu fell, releasing the water, which flowed down the mountain. Realizing that his end was near, he surrendered to the serpent king, asking only that the water be allowed to flow on, so that his people would be relieved from the drought, and that his name be associated forever with this place. The serpent king relented, and henceforth, the water flowed free, and this place came to be known as a combination of both their names – Bhagsu Nag. Wandering around this beautiful place is one of the best things you can do in your entire traveling life. It is indeed very important for you to be well informed about the places and therefore you will need someone to guide you through the roads. If you want someone to guide you, then you can contact us and we will be happy to provide you the best tour service for free.